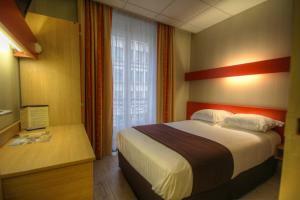 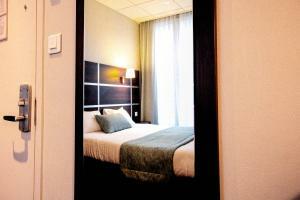 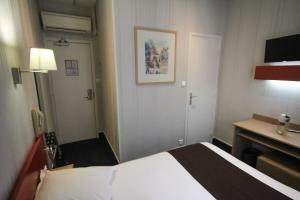 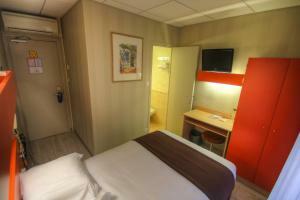 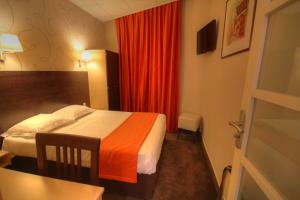 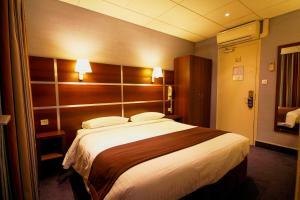 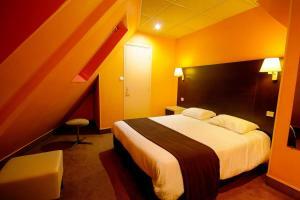 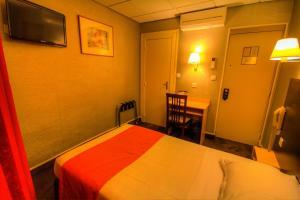 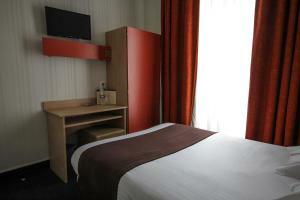 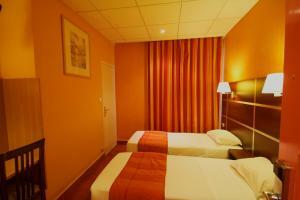 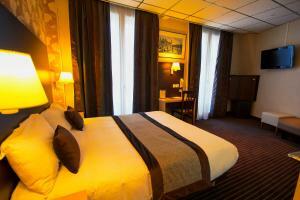 This charming hotel is located in the 12th district, a 10-minute walk from Gare de Lyon and Austerlitz Train Station. 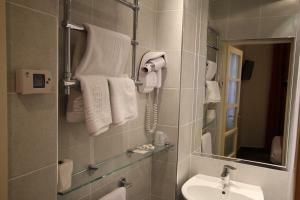 It offers free Wi-Fi access and a 24-hour reception. 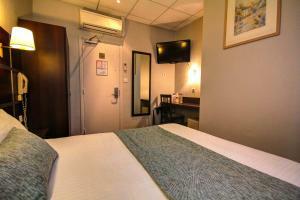 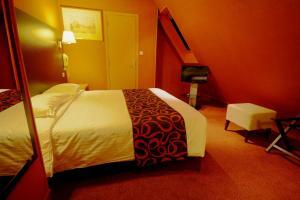 The rooms at Hôtel Des Trois Gares are air-conditioned and feature satellite TV. 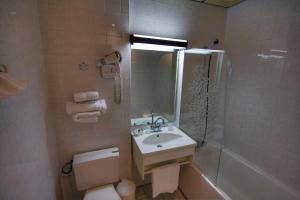 Decorated in red tones, they also have a telephone and a private bathroom. 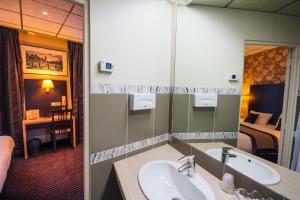 A continental breakfast, newspapers and luggage storage are just some of the other facilities at this hotel. 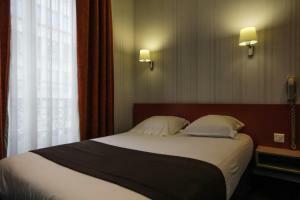 Place de la Bastille is 700 metres away and the Jardin des Plantes is a 15-minute walk from the property. 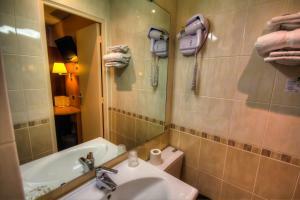 This air-conditioned room with carpeted floors offers satellite TV and a private bathroom with a shower. 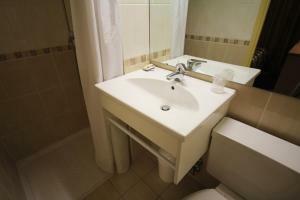 This spacious, air-conditioned room offers satellite TV and a private bathroom with a bath. 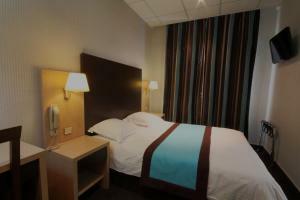 Rate: € 142.75 ... € 145.21; select dates below to get current rates. 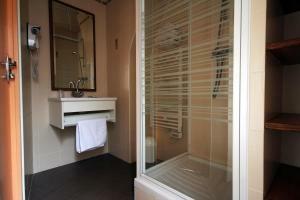 This air-conditioned room offers satellite TV and a private bathroom with a shower. 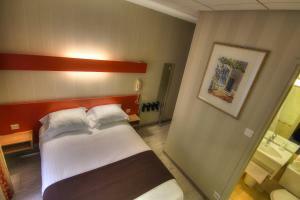 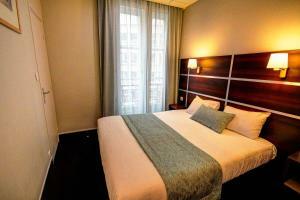 Rate: € 82.00 ... € 181.00; select dates below to get current rates. 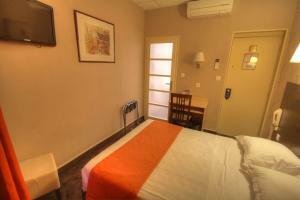 Rate: € 134.29 ... € 151.57; select dates below to get current rates. 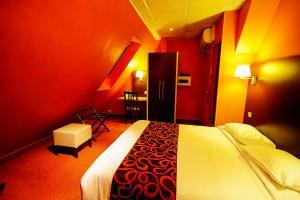 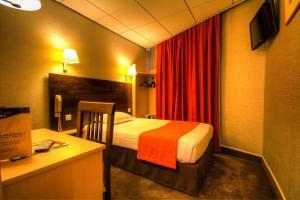 This air-conditioned room with carpeted floors features a flat-screen TV with satellite channels. 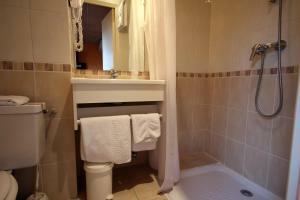 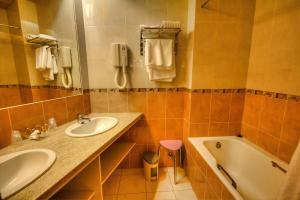 A private bathroom with a bath is also provided.